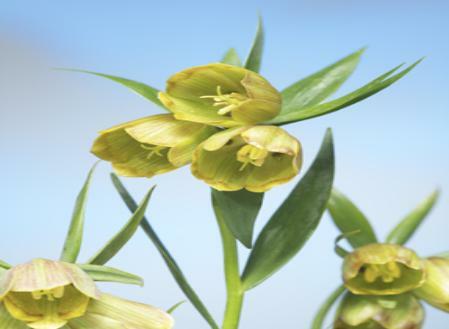 The genus, Fritillaria consists of almost 100 species. All of these are found in the northern hemisphere, with the main habitats being the areas around the Mediterranean. 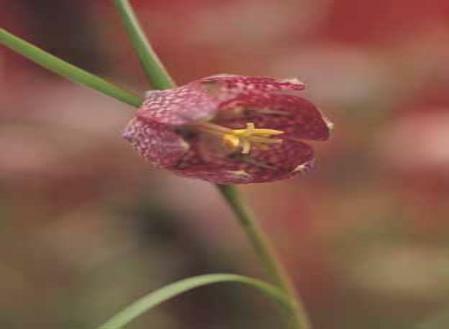 Only a limited number are being cultivated, but interest in this genus is very much on the rise. This species is found in Eastern Turkey and Western Iran. This is by far the most well-known species. It is also one of the earliest plants to be cultivated. 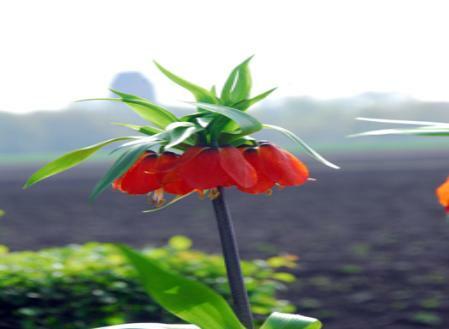 Clusius introduced this majestic plant to the Netherlands as early as the 16th century. Illustrations of it date back to 1610! The plant is found in such locations as Turkey, Iran and Afghanistan. 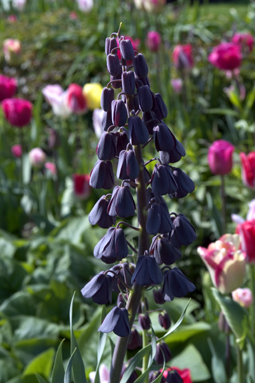 Plant these large, unpleasantly scented bulbs as early in the season as possible, and immediately after acquiring them. This is necessary because the roots will start developing inside the packaging, and this can result in damage during planting. The soil must drain quickly and thoroughly; heavy soil will definitely need the addition of extra sand. Specimens that receive what they need often continue to flower year after year in the same location, especially in climatic zones 4 - 6. Sometimes, however, a stem emerges but fails to bloom. In that case, plant new bulbs in another location, preferably among ground cover plants. The flowers have a distinctive musk-like odour and contain large drops of nectar. 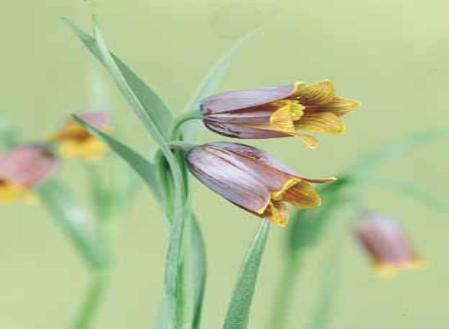 Fritillaria meleagris does not much resemble F. imperialis. 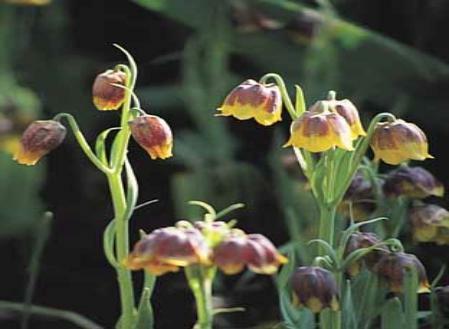 This species is native to Europe where its bulbs usually grow in very moist locations. For better growing conditions, soil can be improved by adding upgraded black peat. The best results are achieved when the plants are not disturbed. To provide an ideal situation, sphagnum peat can be introduced between the plants. Doing so allows the seeds to germinate as well. 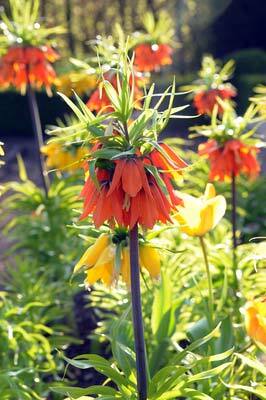 These fritillarias are usually sold as mixed colours but certain specialists offer cultivars. The white cultivar known as 'Alba' is especially lovely. Landscape uses: excellent for shaded rock gardens, as a pot plant (also offered this way commercially) This species with its stunning colour combination comes from Northeastern Turkey. This species places the same demands on soil and habitat as the much more well-known F. imperialis. Planting both species next to one another is especially lovely when the partner is a yellow F. imperialis. Late-flowering yellow or white narcissi also make good neighbours. The bell-shaped flowers of F. persica are found on tall, rather spindly stems. To be assured of a yearly flowering it is best to lift the bulbs in July and store them in a warm (20°C) location and then replant them. This is an unique, little-known species native to Asia Minor and Southeast Europe. It's uniquely colored flowers have an unpleasant odor.